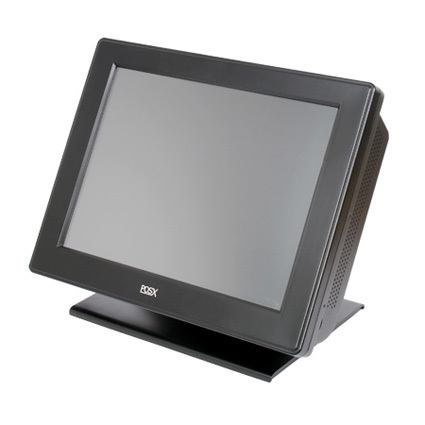 The POS-X XPC517 touchscreen computer provides a crisp, clear, and durable terminal for any retail or restaurant point of sale station. At 17", the XPC517´s TFT LCD displays a sharp 1280 x 1024, maximizing displayable area, eliminating the need of multiple pages per order screen. The all-metal housing and bump-free 90-degree tilting base ensures the XPC517 will stand up to the rigors of daily use with ease. To promote upgradeability, POS-X has designed the XPC517 to open in a clamshell manner, giving you access to RAM and other hardware upgrades without having to move countless wires and backing plates. With a 3-year warranty, the POS-X XPC517 is the premier choice for any business needing a strong, durable, and easy to use touchscreen computer. The POS-X XPC517 has been discontinued. Dimensions (W x D x H): 16.5" x 10.0" x 14.5"